You can visit this restaurant if you appear to be near Museu Diocesa. 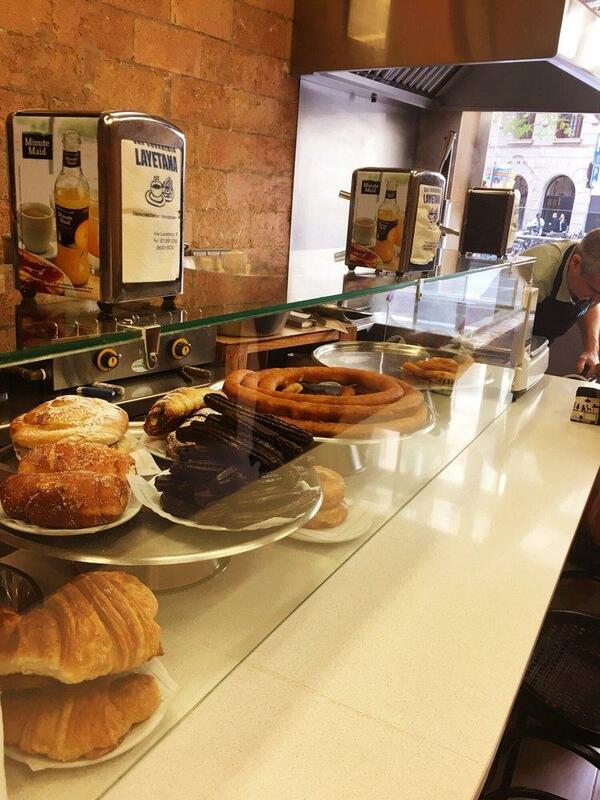 Spanish dishes are on the menu at Churrería Laietana. You can always degust perfectly cooked sturgeon, tapas and fried dough at this place. According to the visitors' opinions, waiters offer good churros, chocolate delice and doughnuts here. It's a must to order delicious fino sherry, ale or cordial when coming to this spot. In accordance with the reviewers' opinions, waiters serve great white coffee, hot chocolate or fresh juices. The intimate atmosphere of this restaurant allows guests to relax after a hard working day. On the top of all that, the staff is attentive. 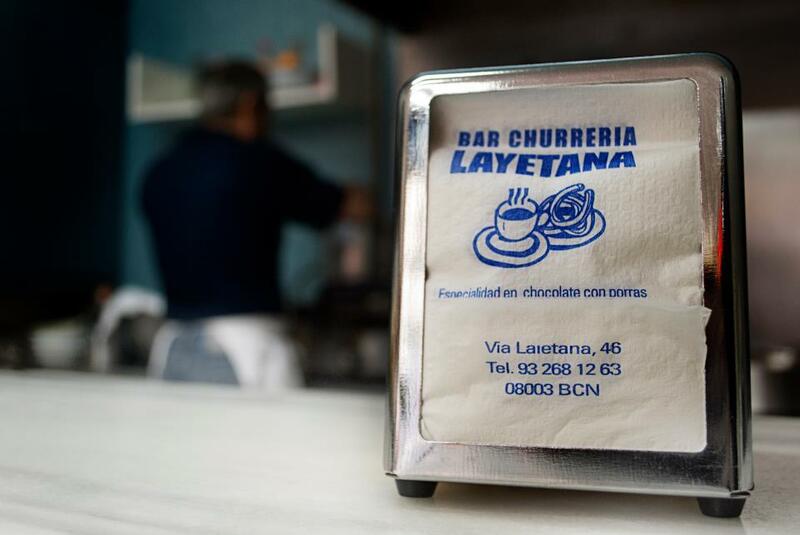 Service at Churrería Laietana is something one can call fabulous. You will appreciate democratic prices. TripAdvisor users marked this place with 4.5 stars, you can check it out. No fresh Churros. Huge dissapointment. 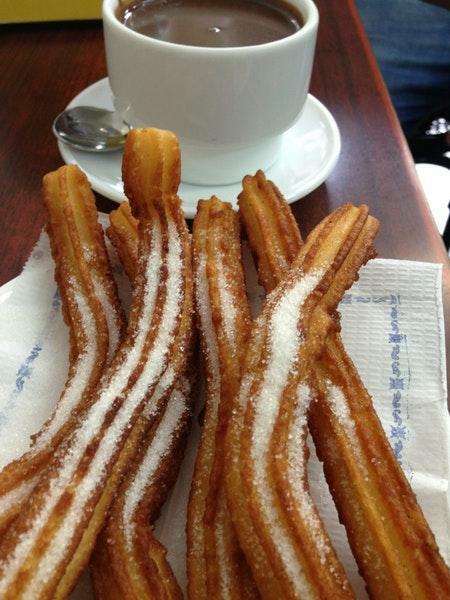 Amazing churros at an amazing price! only €1.30 for an order, so of course I got three. Small and quaint place with fast service. Churros were perfectly crisp on outside and soft inside, and not overly oily too like most places. Churrería Laietana is one of the most well-known places in Barcelona that serves the classic Spanish dish churros con chocolate. This snack is as ubiquitous as Italy and gelato but like everything with tourist cities in Europe only a few places do their job well. 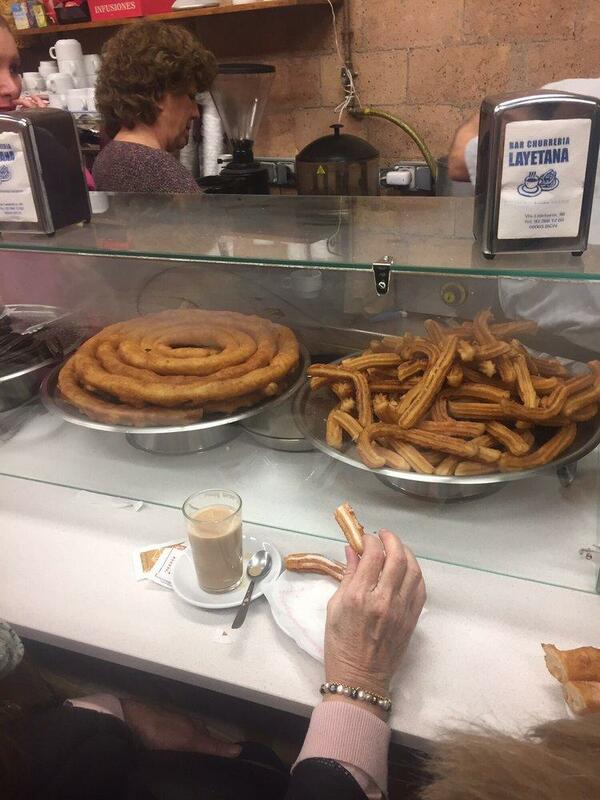 As a churreria they only do a few dishes that revolve around churros and chocolate though they do serve coffee. This place is located along Via Laietana (hence the name), which is parallel and lies east of Las Ramblas. The storefront is small along the more car-friendly street so it can be easily missed. Due to its popularity you'll see lots of people sitting at the bar counter, standing on the other side or getting their order to go. At the corner you can see someone dispensing churro dough into the fryer so you know the churros are fresh. 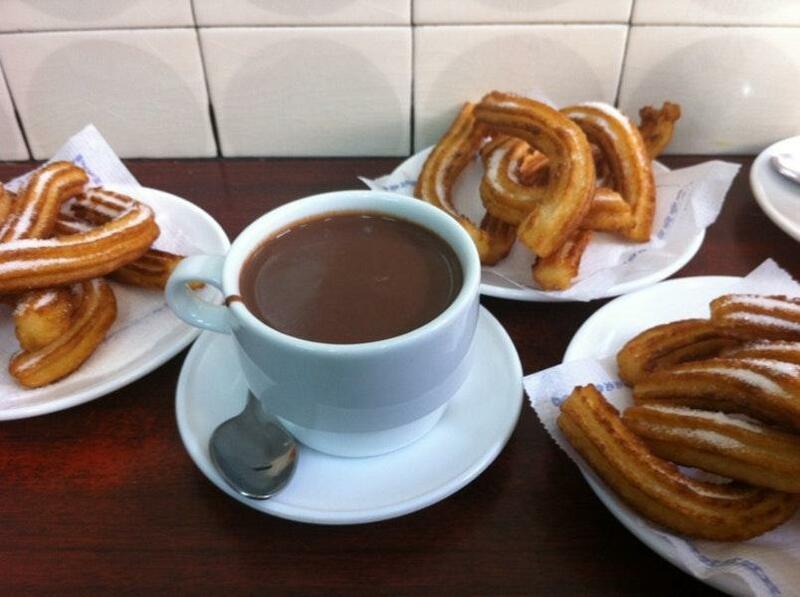 For €3.30 you can get a single order of churros con chocolate. A serving contains about 5-6 small to medium sized churro pieces. - You can ask your churro to have powdered sugar or no sugar. The traditional serving contains no sugar (plus you don't want your chocolate to be contaminated by the white stuff...) - If you haven't done this before, the chocolate is meant to be dipped with the churros, not drunk. - If you get it to-go you'll be given paper that absorbs your churros along with a cup of chocolate. I loved their serving as the chocolate is not too thick and the churros were super crunchy. My justification for eating all of my serving was that I walked over 30k steps/15 miles that day so I could eat whatever I wanted. Still had enough appetite left to try a few more tapas at another restaurant. If you want something "a tad different" they do a porra, which is essentially a thicker churro that's shaped into a round pastry.